serving dishes, and service offer the ultimate hospitality. 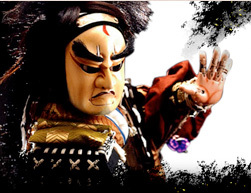 Kaiseki meal (a traditional multi-course Japanese dinner) that we offer with full confidence. 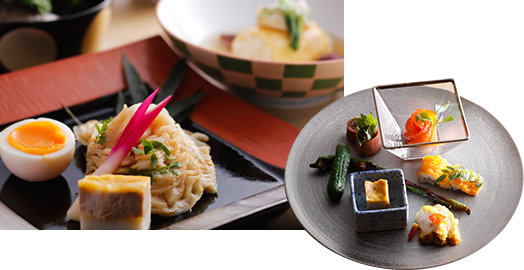 You can fully relish the taste of ingredients in the dishes that we freshly cook from specially selected seasonal food items of Awaji Island with effortless and careful work. Besides, we are also very particular about serving dishes, dining space, and our service so that you can enjoy your meal with our ultimate hospitality. 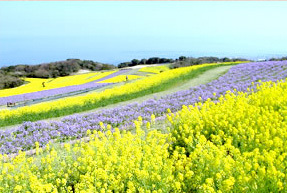 Awaji Island is an island of flower surrounded by nature such as beautiful flowers of daffodils and canola flowers, and lavender and herbs. Delicate and sweet flavor that would titillate your nose, gentle spring breeze that would touch your cheeks, flower petals that would mesmerize you with spectacular color gradation. Feel the beauty that would affect all five senses, and enjoy four distinct seasons of Awaji Island. 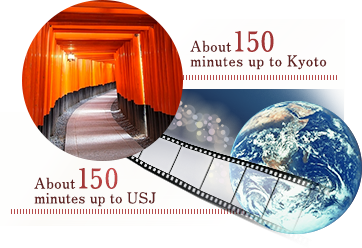 There are various sightseeing facilities where you can experience unique Japanese culture such as Izanagi Shrine and Ningyoza. 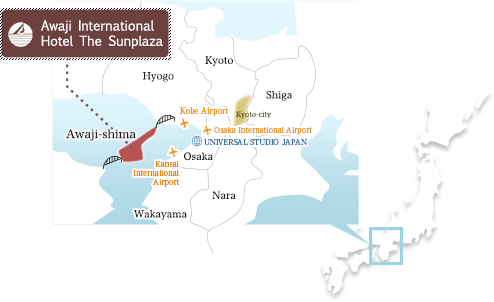 Copyright © Awaji International Hotel The Sunplaza All Rights Reserved.